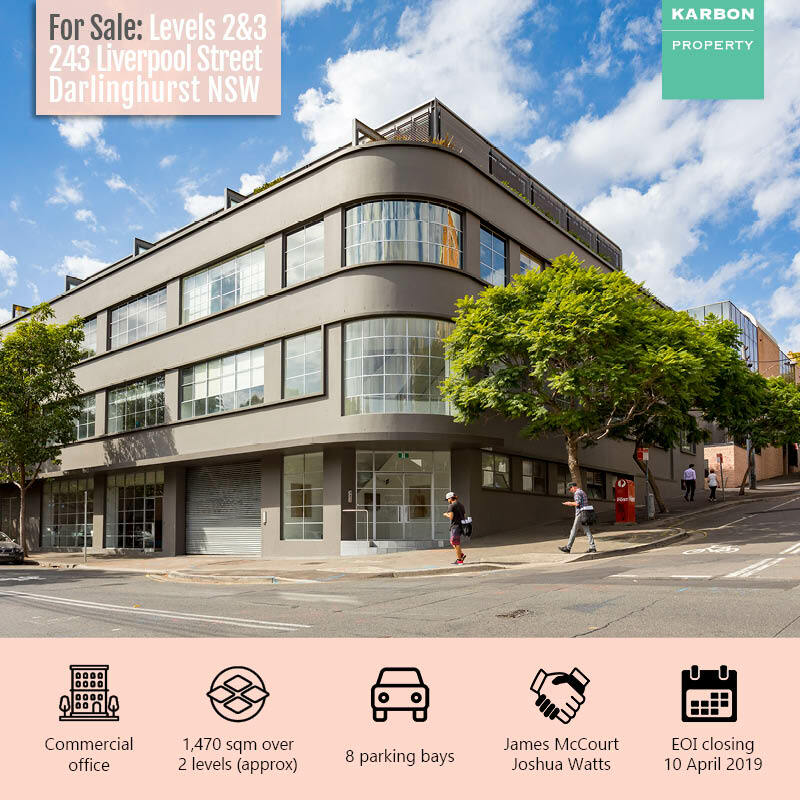 FOR SALE: Levels 2 & 3, 243 Liverpool Street, Darlinghurst. Karbon Property, in conjunction with Cushman & Wakefield – Sydney, are excited to exclusively offer levels 2 & 3 of 243 Liverpool Street for sale via expression of interest. Available individually or in one line, this property offers approx. 1,470sqm over 2 floors, secure parking for 8 cars, and an excellent location just moments from the centre of Sydney’s CBD. EOI closing 10 April 2019. For more information or to book an inspection, contact our lead agents James McCourt on 0411 785 961 or Joshua Watts on 0411 095 247, or visit our Real Commercial listing here.